If your Chrysler is in need of auto repair, John's Automotive Care is your leading choice in San Diego. Our auto mechanics are all ASE-Certified and have years of experience servicing these Chryslers. Our team will accurately assess the condition of your vehicle, so we can figure out what needs to be repaired immediately and what can be fixed down the line. We operate with the utmost integrity, which is why many loyal customers choose us time and time again. All of our technicians are ASE-or Master-Certified. For five years running, we have been awarded ASE/NAPA San Diego Distribution Center Technician of the Year. We’re a NAPA AutoCare Center. 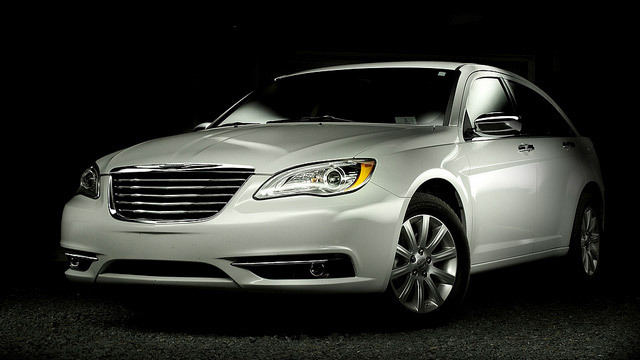 A 36-month/36,000-mile nationwide warranty backs all performed on your Chrysler. We’re an AAA Automobile Club of Southern California Quality Service Award. This award is given to auto repair shops that have proven that they offer exceptional customer service. Chrysler owners, like you, know they can rely on receive stellar auto repair and customer service at John’s Automotive Care. Our highly-qualified and trained auto mechanics are leaders in the automotive industry. Our team consistently earns fantastic reviews and testimonials from satisfied clients and takes great pride that clients choose us as their leading auto repair service center. We hope that you choose us as your premier car repair service center, too. To schedule an appointment for your Chrysler service, call us at (619) 304-0815. Visit John’s Automotive Care at 6267 Riverdale Street, San Diego, CA 92120.